'Get a Grip' is the new National Ladder Safety Campaign sponsored by the Ladder Association, in partnership with RoSPA. Together we are promoting the safe use of ladders and stepladders at work and at home - reducing avoidable accidents and keeping you and your family safe. If it's right to use a ladder, use the right ladder and get trained to use it safely! 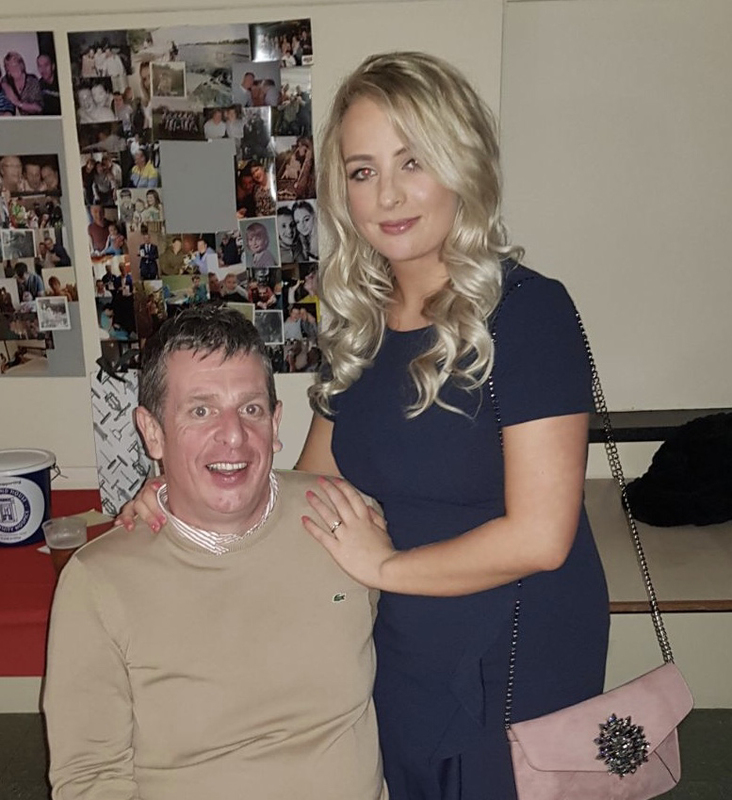 In 1993, Jason was left paralysed from the waist down after falling 10ft from an untied ladder. Now he - and Abbi - use their voice to tell their personal story and spread the safety message. A fall from height doesn't just have an effect on your life - it can have life-changing consequences for your family too as you'll see from our video. DON'T BE A STATISTIC - GET A GRIP ON LADDER SAFETY! is it right to use a ladder? Ladders can be a sensible and practical choice for low risk AND short duration tasks (that are expected to take no longer than 30 minutes). Does your ladder meet the new (or previous) EN 131 standard or BS 1129 and BS 2037 standards? Plus, choose the type of ladder best suited to your specific task (i.e. stepladder, extension ladder, roof ladder). is the ladder safe to use? Check all rungs, stiles, tread, feet, platforms, locking bars and fixings are in good condition (not bent, damaged, worn or missing). If the ladder’s dirty, clean it - damage can be hidden beneath the dirt. These basic tips are a great starting point, but the best way to make sure you know how to use and inspect ladders safely and competently is through Ladder Training. Whether you use ladders daily or just 'now and then', do you really know how to use them safely? Ladder training is for everyone - our courses cover when it’s right to use a ladder (and when it’s not), which ladder to use, storage, inspection, hazards and importantly, your legal obligations! 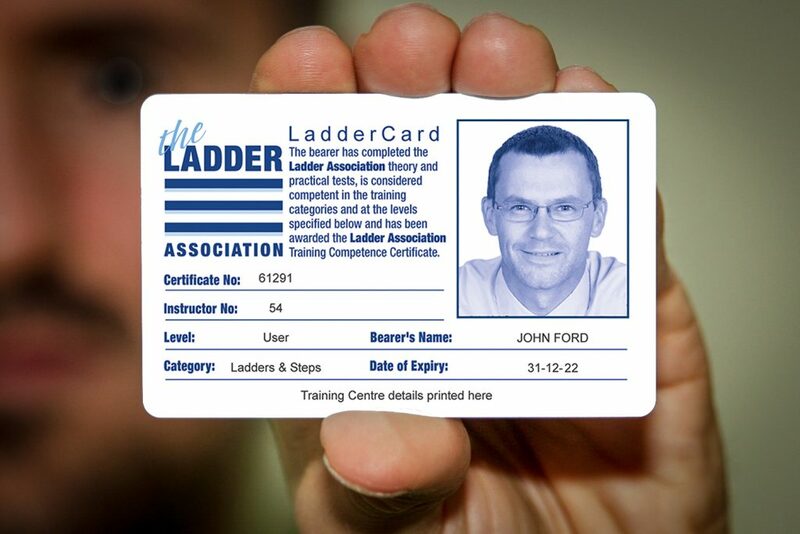 When you complete a Ladder Association training course, you’ll be awarded a LadderCard which, for businesses, can help you prove competence as required by the Work at Height Regulations. This is our main course for anyone who regularly uses ladders or stepladders as part of their daily work. It consists of practical and theory assessments over at least four hours, and covers when and how to use a ladder, handling and storage, understanding the law, standards, and potential hazards. This course is aimed at anyone who is responsible for inspecting and maintaining ladders or stepladders in their workplace. It is as comprehensive as the Ladder & Stepladder User course, and covers practical guidance on assessing the need for inspection, fault-finding and recommending actions, record keeping, as well as the law. A shorter course (minimum 2.5 hours), aimed at more occasional users of stepladders and step stools – those working in shops, offices, schools, hospitals and other sectors where using this equipment to access height is infrequent. The course covers essential information in the safe use of ladders, ladder standards, hazards and the law. 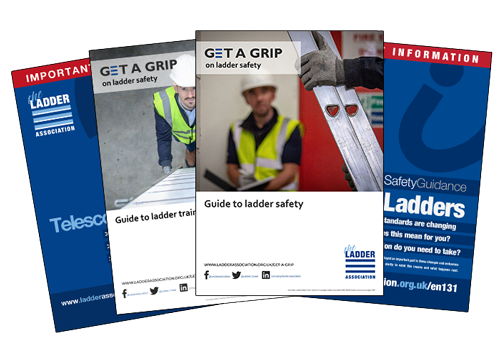 If you're looking for further information on ladder safety, ladder training and the new EN131 ladder standards, you can download our free guides by completing the short form below (you'll automatically be re-directed to a page where you can view them immediately).